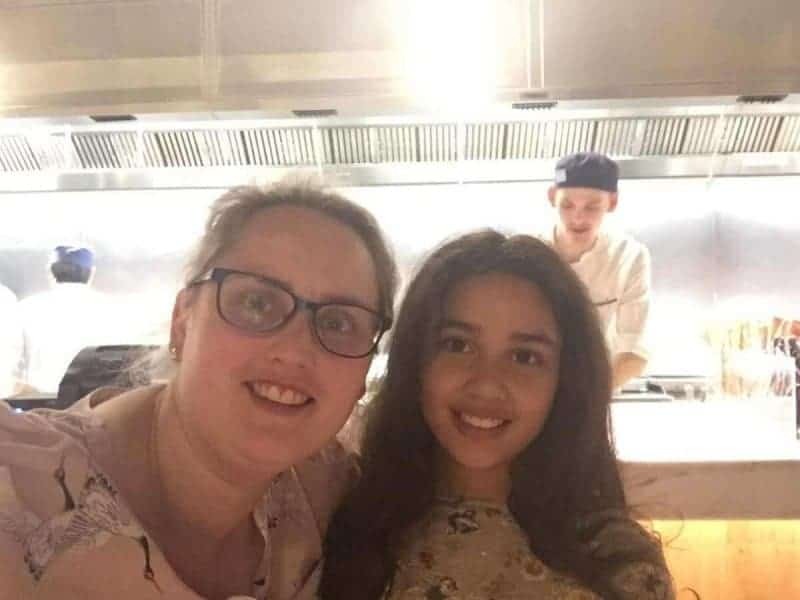 On Saturday night we went to Wagamama at the the Trafford Centre for a family meal. 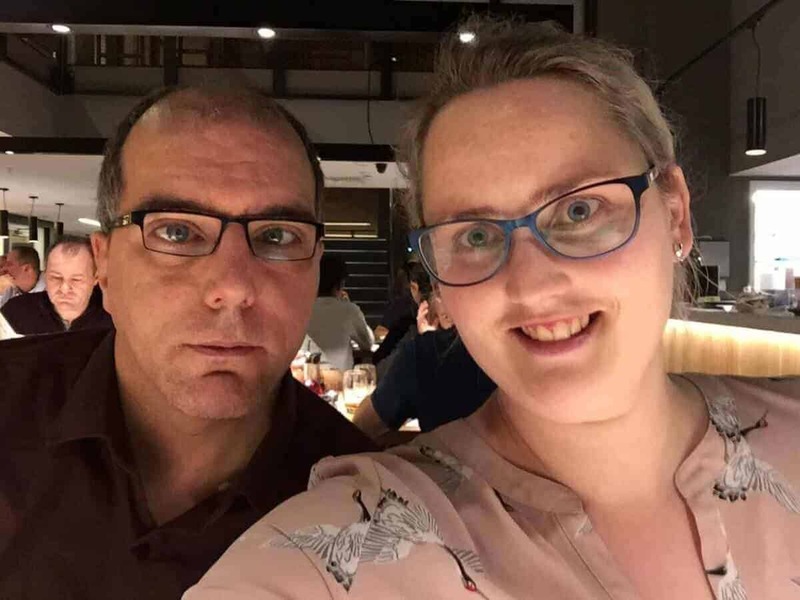 I was super excited because this was a first for our family and a fantastic opportunity to spend quality time together and enjoy an exciting Japanese inspired menu all at the same time. When we arrived the Wagamama there was a quite a long queue. 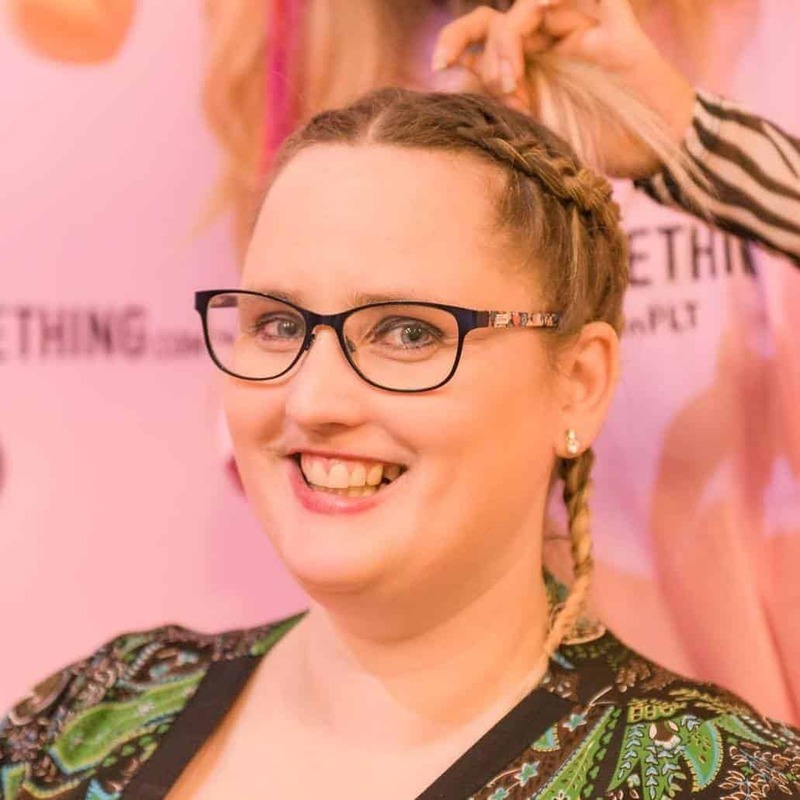 It was around 5pm and in a very busy location so it was not anything out of the ordinary especially for the Trafford centre. We were served by a really friendly waiter and given time to choose our drinks. 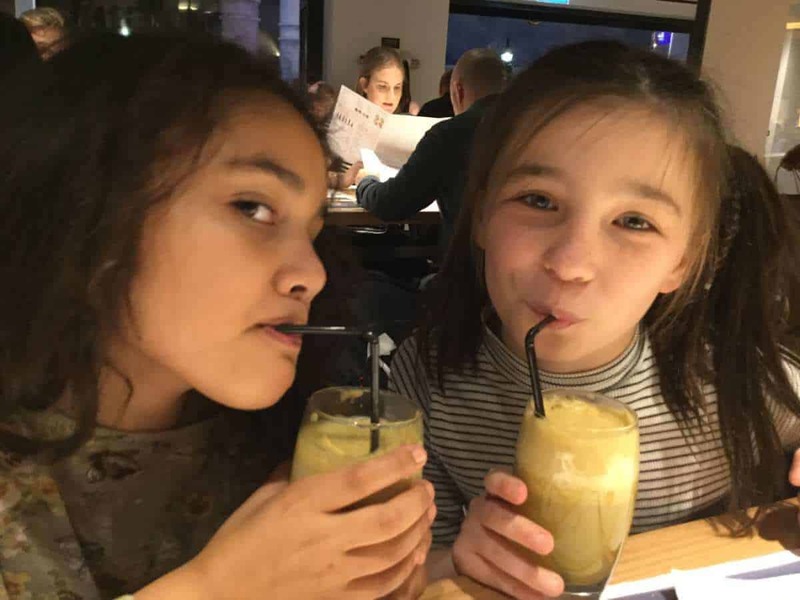 There is a great selection of drinks available at Wagamama including some fantastic fruit juice combinations. Sylvia and Mia had apple juice, I had orange and my husband tried the Tropical which is a mixture of mango, apple and orange. 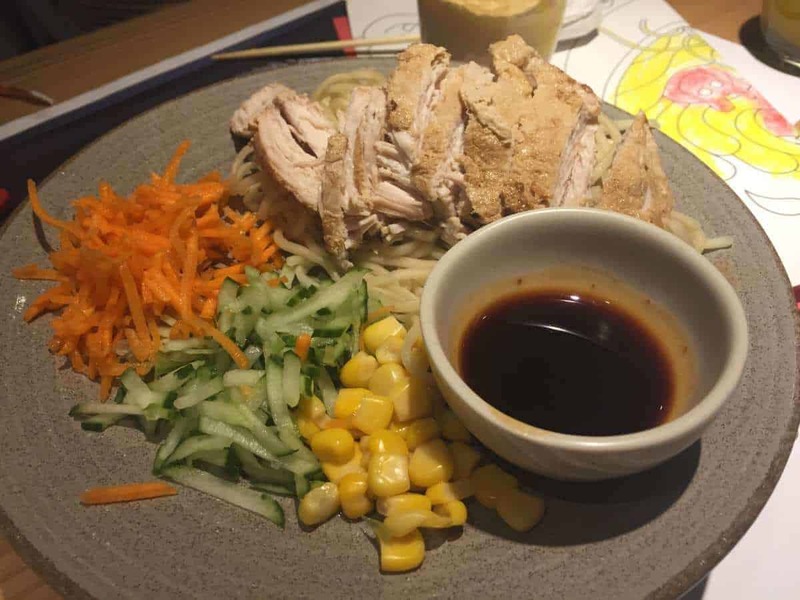 Wagamama have a great selection of meals available for both meat lovers and vegetarians. For starters we ordered Wok-fried greens. 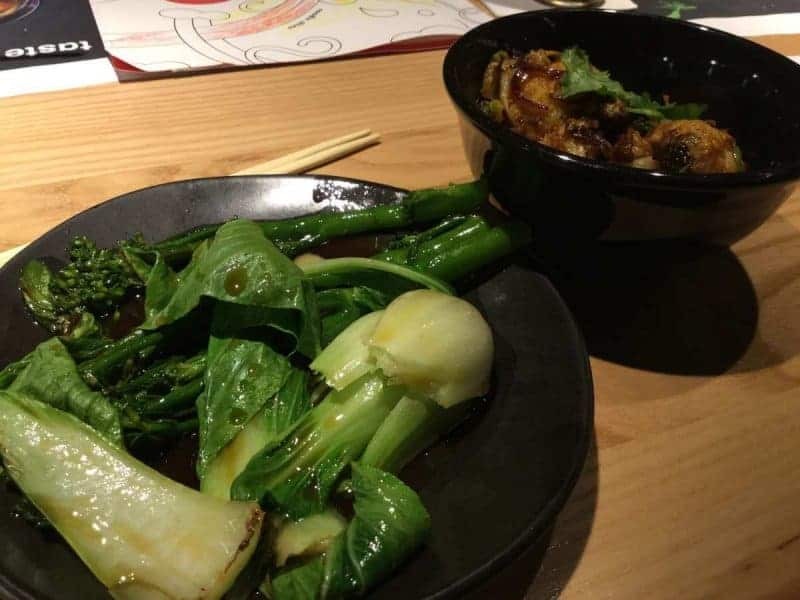 This was a vegetarian dish which consisted of tenderstem broccoli, bok choi, garlic and soya sauce. This was delicious and both the kids and adults loved it. 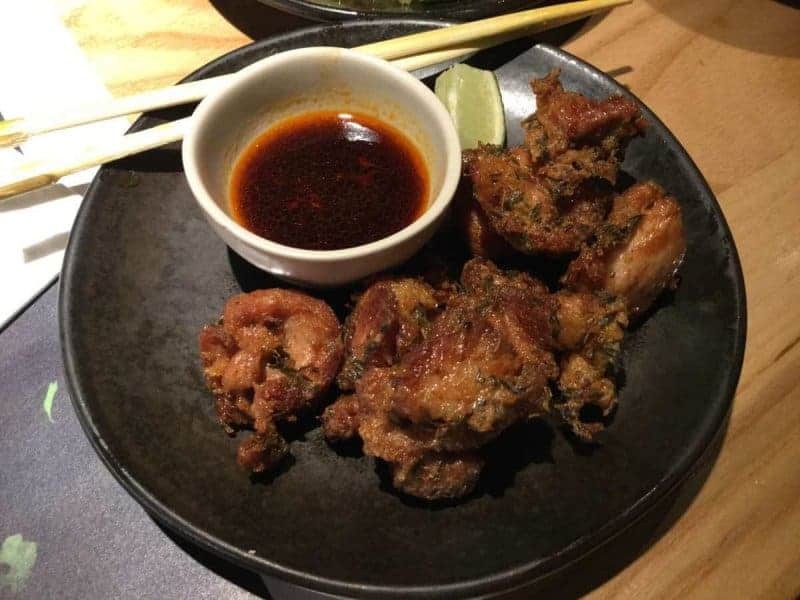 The second starter we ordered was called Bang Bang Cauliflower which is a crispy wok fried cauliflower coated in Bang Bang firecracker sauce mixed with spring onions and garnished with fresh ginger and coriander. Again we loved this vegetarian option and the flavours were really fantastic. Our third starter was a meat dish called Tori kara age. This is a seasoned crispy chicken served with spiced sesame and soya sauce, garnished with lime. This was really tasty and we all enjoyed each starter we tried from the Menu. 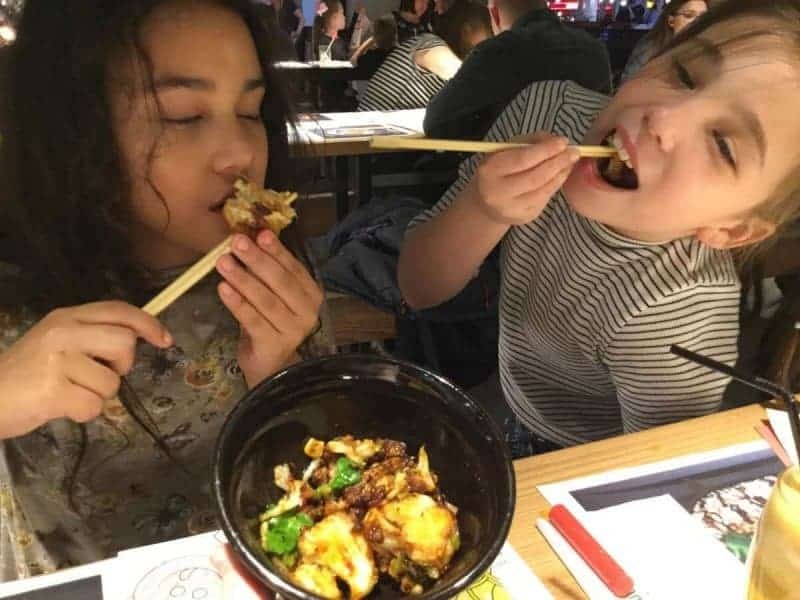 There are so many tasty sounding meals at Wagamama and the girls decided to try noodles and chicken with veg which was an option on the children’s menu. 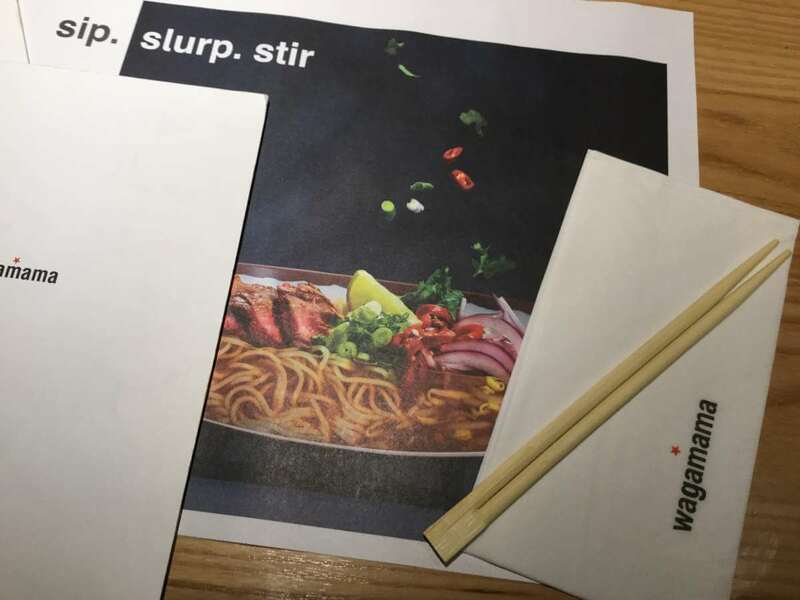 At Wagamama’s there is the option to use chopsticks or a knife and fork. Children are also given child friendly chop sticks which make eating noodles really fun and easy. 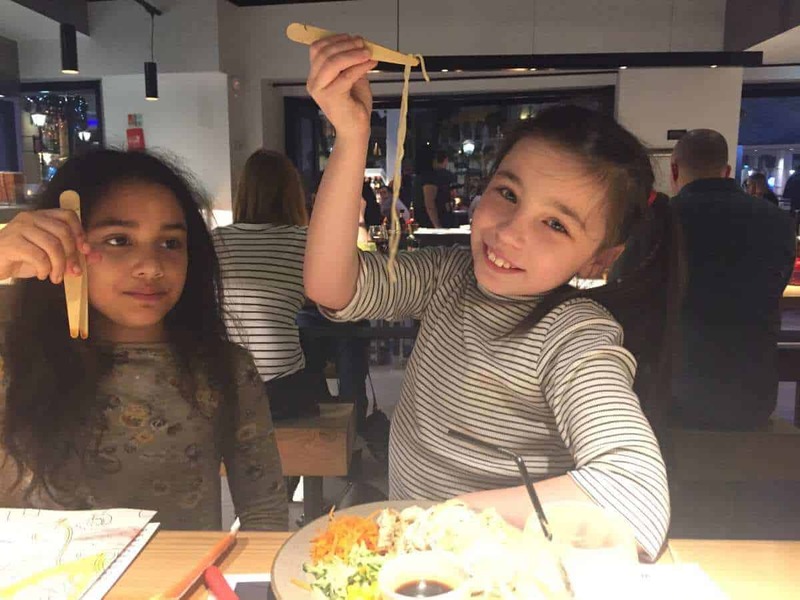 Sylvia and Mia really had fun using their chop sticks and enjoyed the noodles, veg and chicken. The children’s meal came with dipping sauce so Sylvia was able to control how much flavour went on her meal which I think is great for kids. 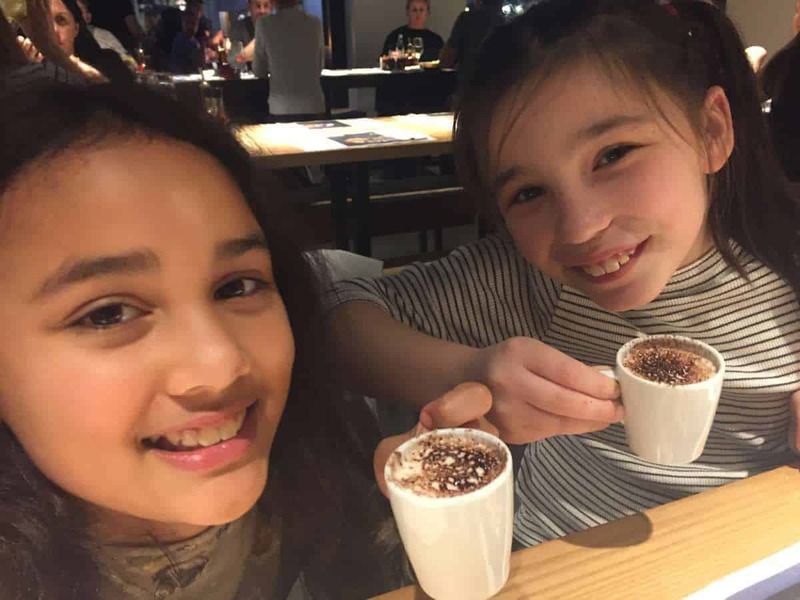 Although this was a first for John, Sylvia and Mia, I had been to Wagamama once before and I loved it so much that I was eager for my family to visit and see what they thought about the food. John absolutely loved his main. We both went for the noodles and Sirloin steak option which was delicious. I can not describe just how delicious this was. The meal was quite large and again the flavours were amazing. 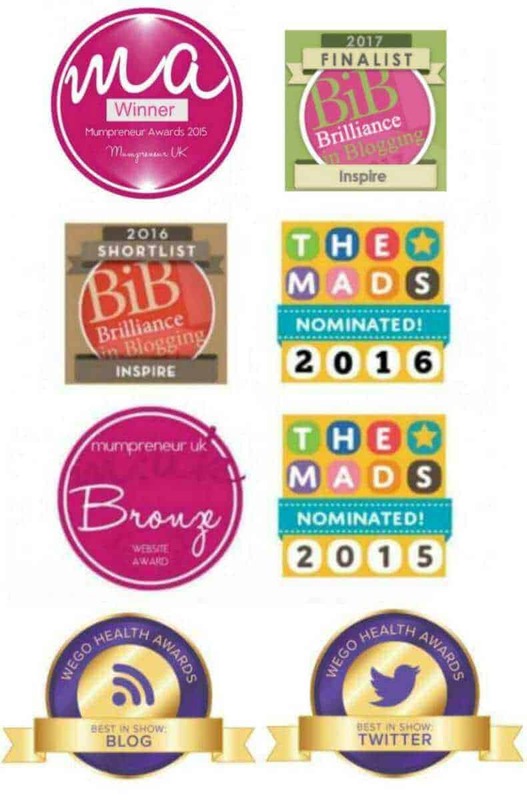 Those who follow my blog may be aware that I have had a gastric bypass and so I was not able to eat the whole meal. The great news is that Wagamama have a takeaway option and I was able to take half my meal home in a container which was fantastic. Next we went for a little tour of the kitchen. There are four main stations in the kitchen area. What I do like about Wagamama is that you can see the Chef’s at work cooking the meals and it is really quite fascinating. 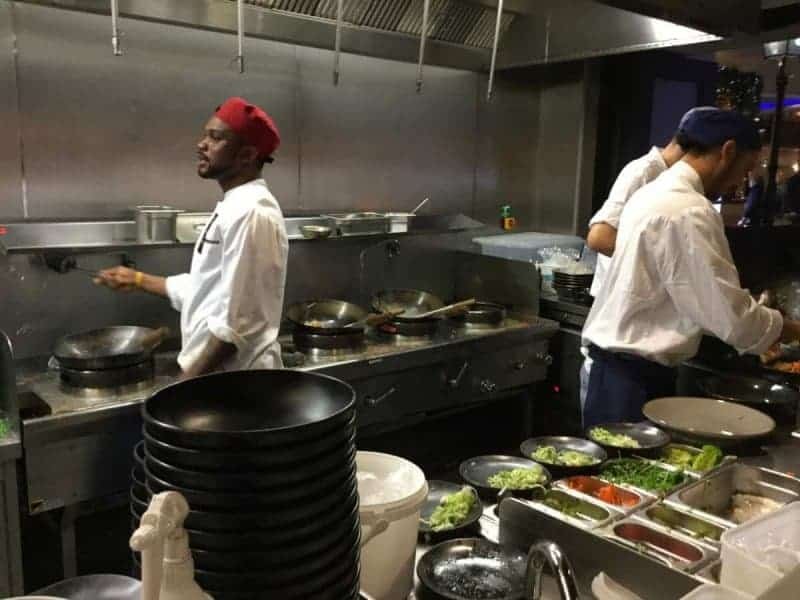 We were shown the different areas, such as the wok area and it was quite fun to watch the meals being prepared. 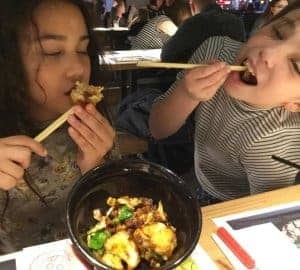 I had a chat with one of the Chef’s and was able to learn a little about how Wagamama works. I loved the set up of the Wagamama restaurant. The tables are really nice and the service we received was fantastic and to the same standard I had received in the past. The lighting was just perfect and we had a great family night out. For dessert the girls had vanillad pod ice cream with chocolate sauce followed by hot milk sprinkled with chocolate powder. They loved this and were really impressed. 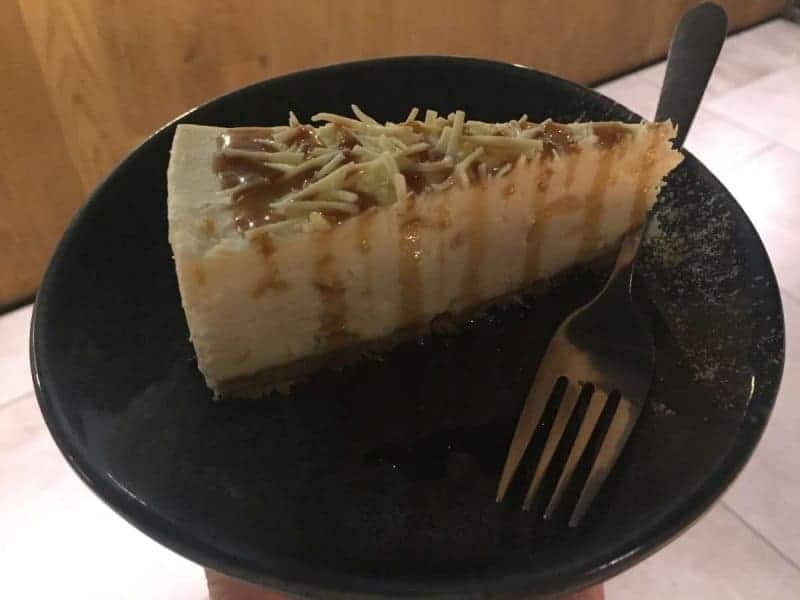 John and I had White chocolate and ginger cheesecake which was the best dessert I have tasted in a few years. It was amazing. 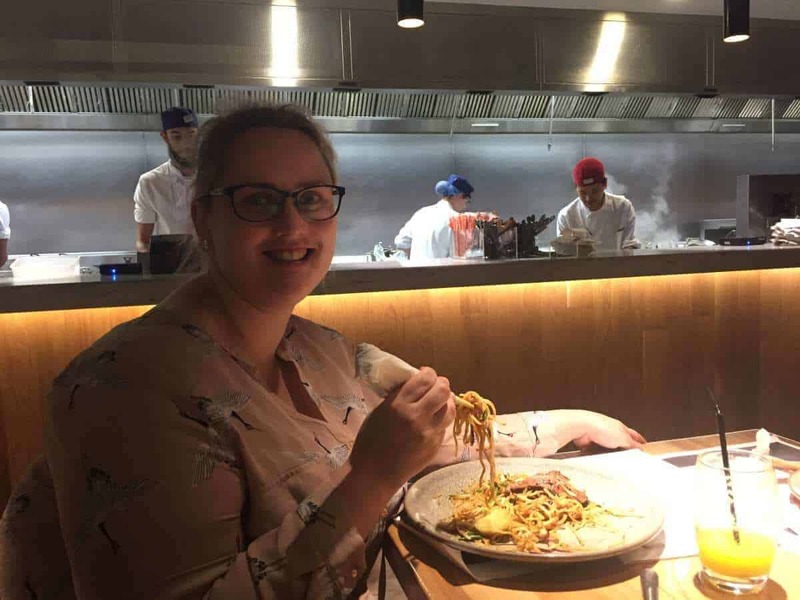 We had a fantastic experience at Wagamama Manchester Trafford Centre. The food and service was amazing. I think it is a perfect place to visit as a family or as a couple on a date. 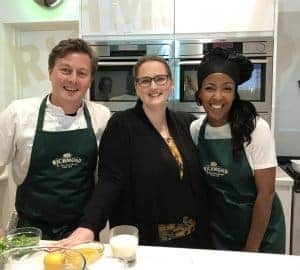 We were all very impressed and we would love to return in the near future to try out more of the menu. 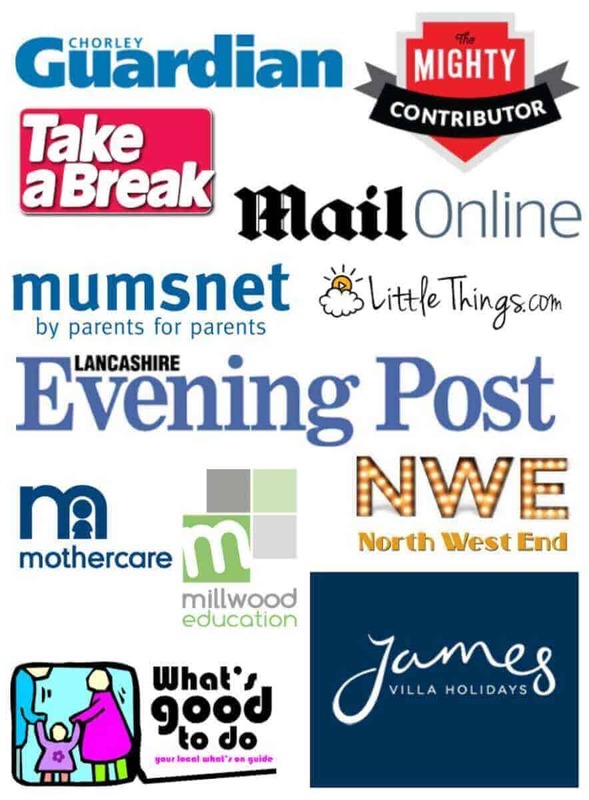 *We were given a complimentary meal as part of this review. All opinions are my own. The food looks delicious! And I LOVE the pictures — it seems like you had such a good time! We did we had a fantastic night and loved every minute. The food sure looked nice and yum! And adorable looking family as well! thankyou. We had a great time. 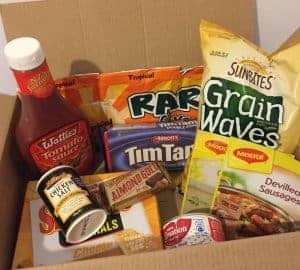 This sounds so delicious! I love noodles with steak! Glad you enjoyed yourselves! The noodles tasted so so good. Ooh this looks great! 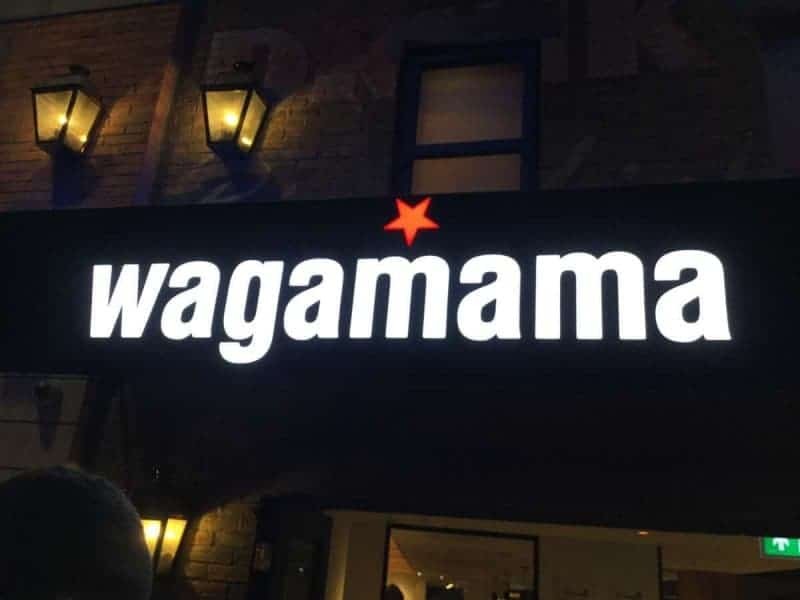 I didn’t realise there was a Wagamama at the Trafford centre now, I’ll have to go and have a try! What a fun family dinner! We don’t have this restaurant where I live but it looks like a place I would enjoy! oh I am sure you would. Wagamama caters for everyone. Ever since I returned from Japan, Im a sucker for Japanese food. Love absolutely everything about it. I would definitely love that Sirloin steak on my plate and the dessert too please:) Pass that plate already! oh this was the tastiest dish I’ve had in months! It was so tasty Laura and I loved it! Yes Ana. It was great to go with you! Wow! Food looks delicious and your steak looks very juicy! It looks like a great restaurant! Looks like a fantastic family restaurant. 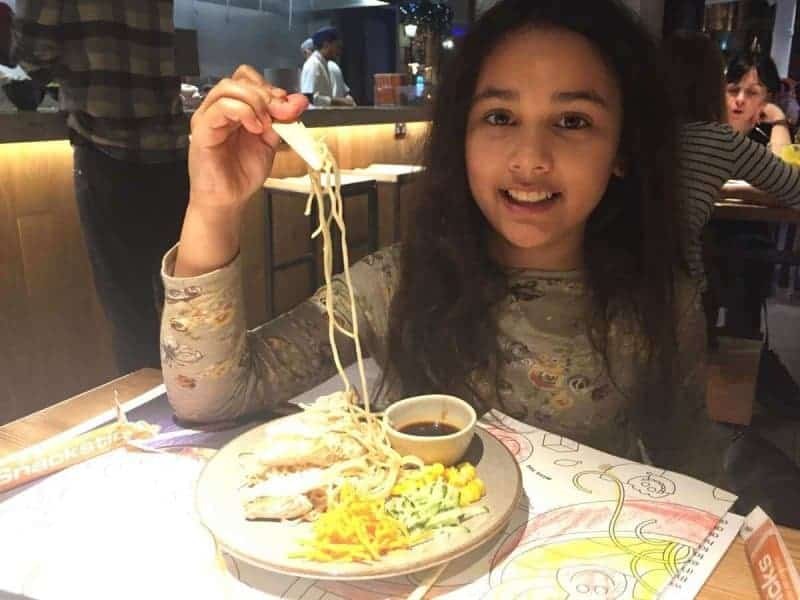 The girls sure enjoyed their food, and I smiled when I saw the photo of them trying to eat noodles using chopsticks. 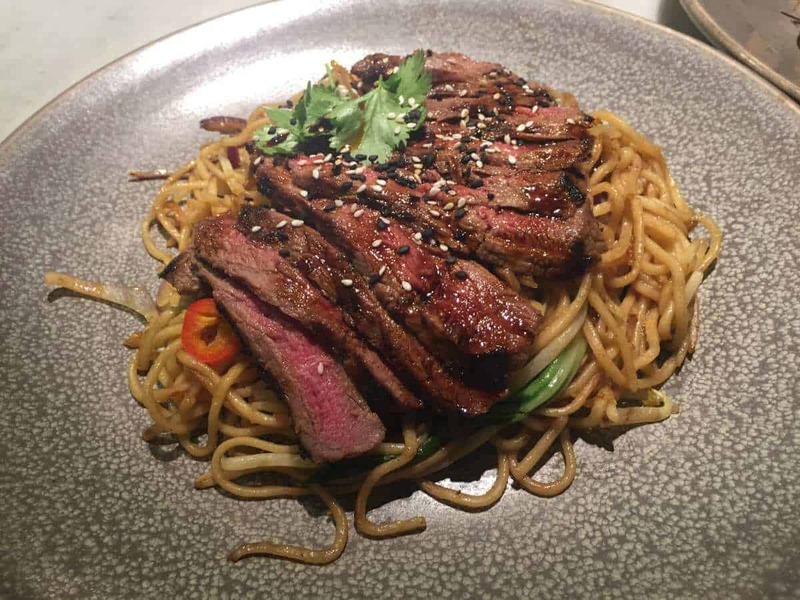 I’d also have that big juicy sirloin steak with noodles if I ever get to Wagamama. oh it was so fun..just experiencing something different and using chop stick was fun! Looks like a great date night with the kids and yummy food! Oh it sure was. We had a fantastic time. How fun! thanks for sharing. I wish we had one to visit in the USA. The food looks amazing! I’ve never been to Wagamamas before. I’m not a big fan of cauliflower but have been trying to find recipes (and restaurants) that make it differently. I have to say that cauliflower dish looks so good!